The battle of ride-share services rages on. With Uber’s months-long negative publicity amid internal controversy and Lyft’s ongoing initiatives to stay competitive as it rolls out new “lux” options, Lyft has once again made a move to attract more users through its new partnership with Amtrak. “To help close the gap between public transit and your doorstep, we’re teaming up with Amtrak,” Lyft published in a recent blog post. With this in mind, Lyft is offering a $5 promo code for users who request a ride to an Amtrak station. This is not the first time Lyft has rolled out partnerships to attract users; earlier this summer Lyft partnered with the Mann Center for the Performing Arts to create a designated “Lyft pickup zone,” though anyone who has caught a show there this summer can still vouch for the fact that post-show car pickup, regardless of the service, is still a pretty hot mess at the outdoor venue. Amid SEPTA’s joyous reparations last year, the transit agency partnered with Uber to ease some of the transit struggles of riders, though now the ease of Uber and Lyft has sent some SEPTA lines into questioning how to keep customers when ride-share is so readily accessible. 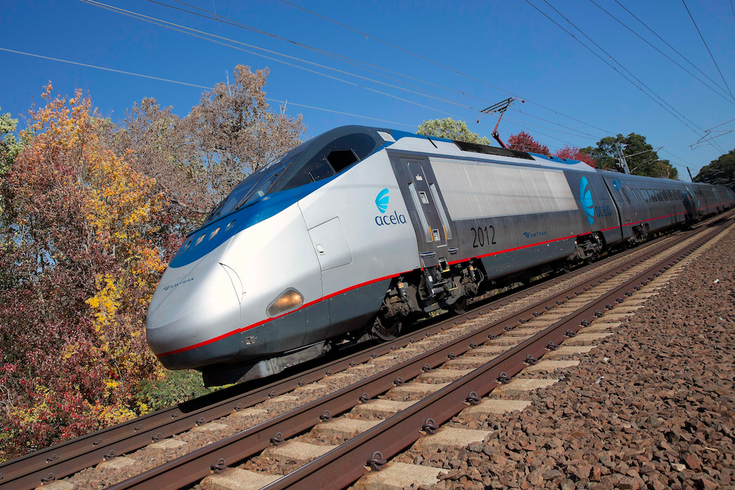 “We are focused on improving the customer experience, and this is one way we are working to make your entire journey as seamless and enjoyable as possible,” said Jason Molfetas, executive vice president of marketing and business development for Amtrak, in a statement. “Both companies have a long-standing commitment to supporting communities we serve and we’re excited to grow together,” said David Baga, chief business officer for Lyft.